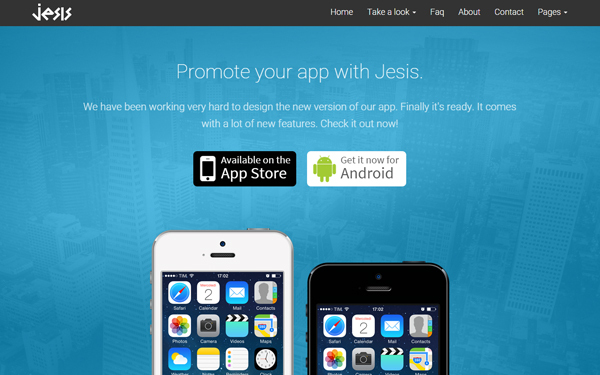 Today in this post I’ll present the new major update of the Jesis template. For all of you who don’t know it, Jesis is a premium template made with Bootstrap that you can use as a landing page for presenting and promoting your new mobile app. 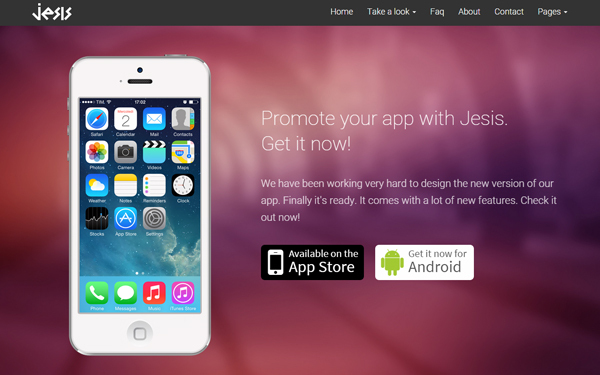 I’m selling it on WrapBootstrap and it has 252 purchases at the moment. This new version (version 3) comes with Bootstrap 3.3.5, Font Awesome icons 4.4.0, some minor design changes and 3 new layouts. Continue reading below for some more details of what has changed and for the live preview and purchase links. 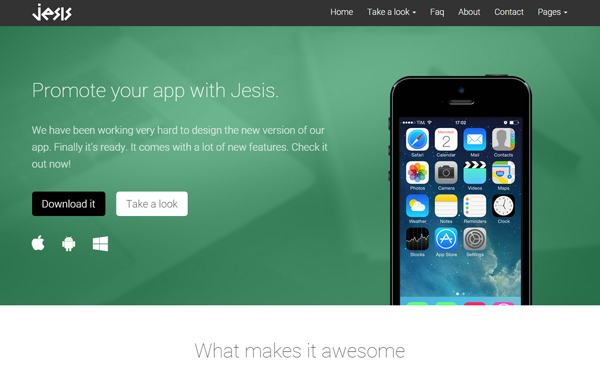 In Jesis v3 I’ve used the latest version of the Bootstrap framework, v3.3.5 (at the moment), as well as the latest version of Font Awesome icons, v4.4.0. In this version of Jesis I’ve made some minor changes to the design to give a better look to the template. The biggest change in this update is the addition of 3 new layouts with different color schemes so you now have 4 layouts in total, giving you more choices for your projects. 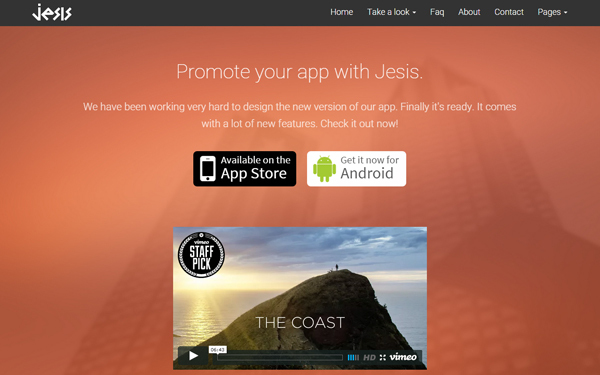 Below you can see some screenshots of the 4 layouts of Jesis.